Community Unity Lag Ba'Omer family picnic and BBQ! Sunday, April 28th, 11:00-1:00pm at the Prairie Crossing Charter School at 1531 Jones Point Rd. Grayslake. A great BBQ and dessert. $5/person, $72/family sponsor, $180/sponsor, children under 2/free - Please RSVP below. 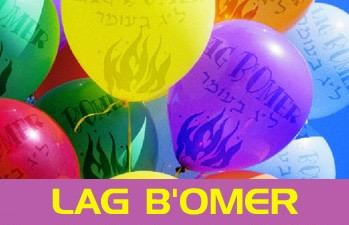 For more information on Lag Ba'Omer, please click here. Sponsored by: Clowning Around/Celebration Authority - Matthew Edelstein, CLU CFC and Glick Imports.